Washing machines are one of the most important staples in any business or home. Without them, we’d either be walking around in smelly, dirty clothes or buying a new shirt every time a drop of ketchup managed to escape from our sandwich. It’s important that we have washing machines, but it’s even more important to keep them running efficiently and keeping our clothes clean and fresh. 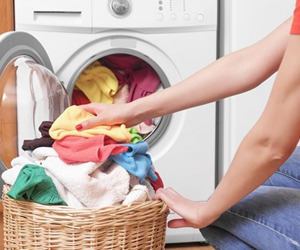 If the only interaction you have with your machine is to put your dirty clothes in and take them back out again, here are some ways to make your clothes cleaner, make your machine last longer, and even save some money. Some stained items of clothing are salvageable, but if something stains your clothes and you leave it to dry, chances are your item of clothing is ruined. To combat stains, they have to be soaked immediately. Washing machines are pretty great, but they can’t work miracles, so place your soiled clothing in a bucket of water with a bit of detergent and leave it soaking until you can treat the stain, and then put it in the washing machine. 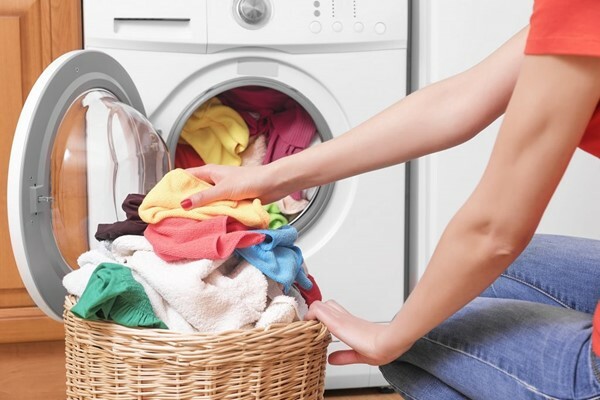 Did you know that the vast majority of energy your washing machine generates goes toward heating up the water? Using cold water to wash your clothes can save you money on your energy bills and retain the vibrant colours of your clothes, as warm water causes colours to bleed. If your machine is dirty, your clothes will be too. While cleaning your washing machine might not be a priority on your to-do list, adding a cup of white vinegar to an empty wash (or to a regular load if you don’t want to waste energy and water) helps to remove residue from soap and detergent. Doing this once a month helps to keep your machine as clean as can be. The amount of detergent required to properly clean your clothes has several variants. The make of your machine, the size of your load, and the quality of the water in your area all make a difference when it comes to using detergent efficiently. If you live in a soft water area, less detergent is required, while hard water areas often require the full recommended amount. Adding too many items to a load might seem like a good idea, and you might think that you’re getting more items cleaned without having to expend energy on several washes, but this isn’t the case. Oversized loads actually prevent your laundry from being cleaned properly, leaving you with a load that is less than fresh. Experts recommend that your load fill about ¾ of your washing machine’s drum. The easiest way to save money and energy when it comes to washing your clothes is to bypass the dryer and dry your load on a washing line. It costs nothing to hang your clothes out in the sun and let nature take its course, and did you know that solar energy is a natural stain remover? Which means that your whites will be getting an extra boost when hung out to dry.